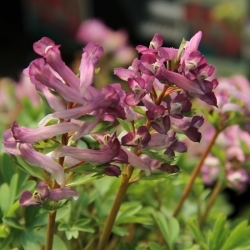 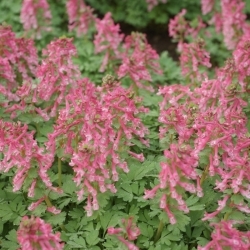 Spring Corydalis or bird-in-a-bush, purple-pink. 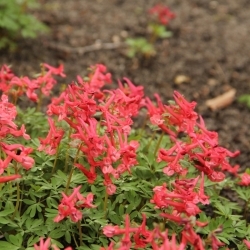 Height 20-25 cm. 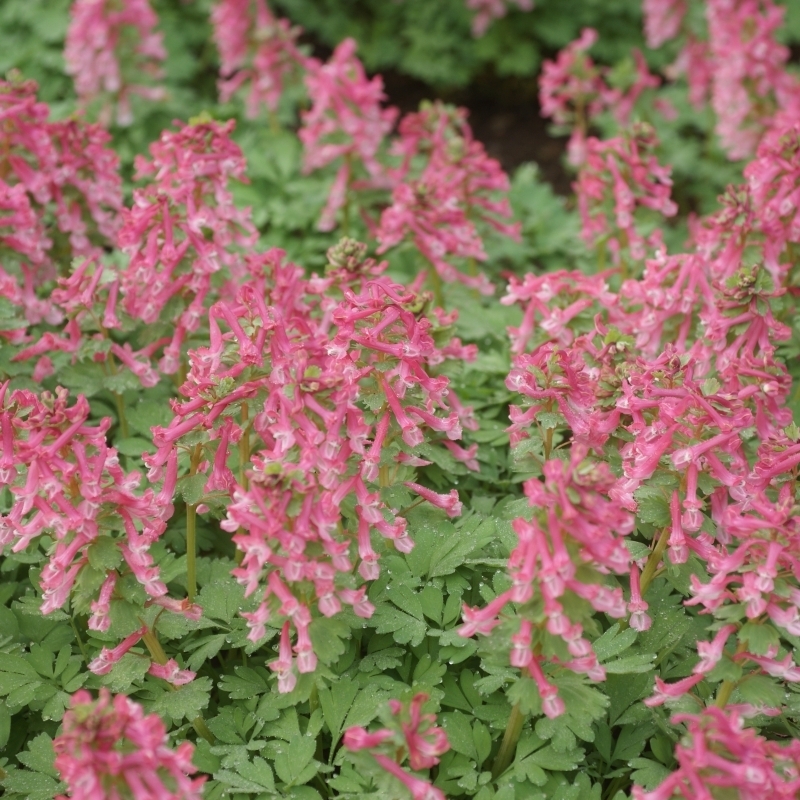 Ideal for naturalizing under or next to shrubs.